Caribou police arrested Nathan Jones, 30, of Caribou on Sunday in connection with the robbery that afternoon of the Walgreens pharmacy on Bennett Drive. 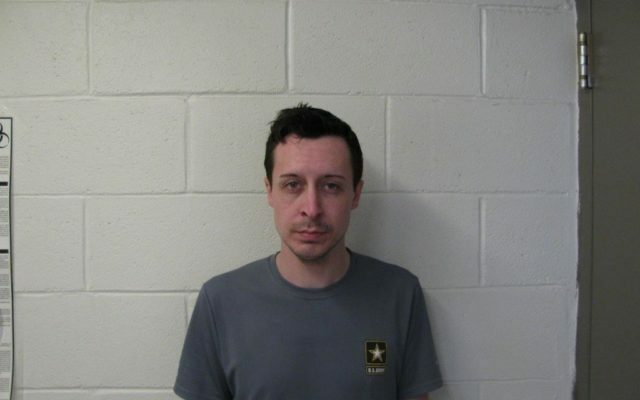 CARIBOU, Maine — Caribou police arrested Nathan Jones, 30, of Caribou on Sunday in connection with the robbery that afternoon of the Walgreens pharmacy on Bennett Drive. A pharmacist called police to report that at 12:55 p.m. a “white male with a black jacket, jeans, black baseball cap, and sunglasses” handed him a “request demanding specific drugs,” according to a release Caribou Police Chief Michael Gahagan issued Monday. No weapons were displayed and no injuries were reported, but the suspect fled the store with the drugs. Police from both Caribou and the Aroostook County Sheriff’s Office responded and, after reviewing video footage from the pharmacy, identified the suspect as Jones, according to Gahagan. Officers found and arrested Jones at a Caribou residence “an hour and a half later.” Police did not find the stolen drugs, however. They charged Jones with Class B robbery, two counts of stealing drugs, terrorizing, and violation of conditional release. Class B crimes are punishable by up to 10 years in prison. Jones remains jailed without bail pending a scheduled court date on May 9. Caribou Officer Craig Peterson continues to investigate the case with assistance from the Aroostook County Sheriff’s Office.